The weekend is here, which marks the end of March Break 2014. I really enjoyed having Mr. J home, and we were able to do most of what we had hoped during the week. I could have done without the constant fighting between Mr. J and Mr. K - but during the non-fighting times we had a lot of fun. Monday Mr. J had his tutoring session (he has come SO far with his reading - but will save that for another post) and Mr. K played outside; then I took the boys to wal-mart for a few items. We came home and made Rainbow Jello and watched The Sandlot! Tuesday we spent some time at my moms house and they built with mega blocks and played cars. Wednesday we picked up my mom and met my brother and his 3 youngest kids at the movie theater, where we watched Mr. Peabody and Sherman (super cute movie) and then went for lunch after! Friday we did groceries, played lego, made a cake with Mr. J and the boys had some outdoor play time as well. Then we built with lego again and hubby took Mr. J for supper! Today we will decorate the cake (Mr. J LOVES to bake and decorate cakes/cupcakes) and then hoping to head to The Lego Movie tonight! It is going to be very strange getting back to routine on Monday! What did you do for March Break? Head somewhere warm? haha - nope, on the deck in the backyard! I don't say spring break either ! If you can make it all the way up here, I will gladly serve you a slice! Our March break also just started on Friday. So far my son had his g/f spend the weekend with us, he's fourteen so that was um fun. LOL no sleep for me. We also saw a movie The Lego Movie, and had pizza night yesterday and hubs and I watched Veronica Mars. I can't wait for the week to start. Lol I loved having my kids around this March Break, but I could have done without the puke-opoloza. It was kinda nice having only two kids as my parents took the older kids one at a time for a few nights! Glad you had a great March Break! Oh wow. You sure did a lot to keep busy. I had to as well. Luckily the weather was nice part of the time so we had a few outings. 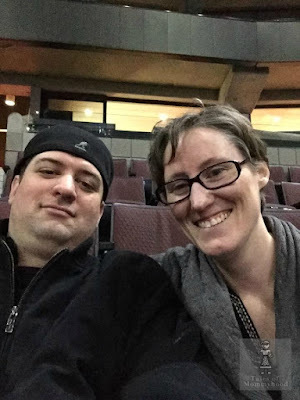 We went to the AGO on Monday, the Zoo on Tuesday (we even walked around without out coats on), stayed in and played hockey on Wednesday, had some friends over on Thursday and Friday we say Disney on Ice with some friends. It was a great week and this weekend was great too.